Sharla Sumpter Bridgett is President of Production for The Story Company. She oversees the company’s slate of film, television and digital projects. Prior to joining the company in 2017, the veteran film and television producer led Kerry Washington's Simpson Street Productions where she developed broadcast and cable projects for ABC Studios and ABC Signature. Previously, she was Partner & President of Production at Varsity Pictures and President of Film at Tollin/Robbins Productions. 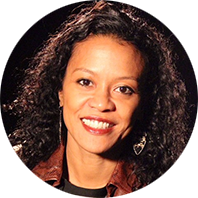 Bridgett’s producing credits include Coach Carter, The To Do List and Wild Hogs as well as “Blue Mountain State,” “So Random!” and “Sonny with a Chance.” Bridgett is a member of The Producers Guild of America and The Academy of Television Arts & Sciences. She holds a Bachelor of Science in Business from the University of Southern California and resides in Los Angeles with her family. Terra Potts has been with Warner Bros. Pictures since 2010, and currently serves as Senior Vice President of Multicultural Marketing. During her tenure with the studio, Potts has worked on successful campaigns for such high-profile features as WONDER WOMAN, IT, ANNABELLE: CREATION, KONG SKULL ISLAND, SUICIDE SQUAD and FANTASTIC BEASTS AND WHERE TO FIND THEM. She has recently been at work on numerous films in the WB slate, including the successful CRAZY RICH ASIANS and THE NUN, as well as soon-to-be-released films A STAR IS BORN and AQUAMAN. Prior to joining Warner Bros., Potts served as a consultant to New Films Cinema’s Theatrical and Corporate Publicity department. She also managed Publicity and Academy Awards campaigns at LT-LA, where she developed and executed Academy Awards campaigns for Paramount, The Weinstein Company, Lionsgate and Miramax, working on such films as THE CURIOUS CASE OF BENJAMIN BUTTON, TROPIC THUNDER, VICKI CRISTINA BARCELONA, AWAY FROM HER, I’M NOT THERE, THE DIVING BELL AND THE BUTTERFLY, THE GREAT DEBATORS, HAIRSPRAY and 3:10 TO YUMA. Nnamdi Asomugha is an award-winning actor, producer, and former All-Pro NFL Player. Following a successful 11-year career in the NFL, Asomugha channeled his passion for film and television into a career in the entertainment industry. He received critical acclaim for his portrayal of Carl King in the Amazon Studios film, Crown Heights. He was nominated for an Independent Spirit Award for Best Supporting Actor and an NAACP Image Award for Best Supporting Actor. Variety named him one of the seven breakout performers of 2017. He founded iAm21 Entertainment, a production company whose mission is to create entertainment that illuminates important social issues, and influences social change. Three of his recent projects premiered at the 2017 Sundance Film Festival, with “Crown Heights,” the film he costarred in and produced earning the festival’s coveted U.S. Dramatic Audience Award. His producing credits include “Beasts of No Nation” (2015), “Crown Heights” (2017), and “Harriet” (2019) an upcoming Harriet Tubman biopic. Lisa Cortés is an Academy Award®–nominated Producer whose credits include PRECIOUS; THE WOODSMAN; and SHADOWBOXER. Her work with trailblazing companies such as Rush Artist Management, Def Jam Records, and Lee Daniels Entertainment has been distinguished by her commitment to empowering inclusive voices, and giving light to challenging visionary stories. Her productions have received over 70 international awards and nominations, including the Academy Award®. Prior to her film career, Cortés worked with Russell Simmons and Rick Rubin to launch the iconic Def Jam brand. Later, as Vice President of Artists and Repertoire at Mercury Records, she signed many multi platinum and Grammy® Award-winning artists, and founded the iconoclastic label, Loose Cannon Records. Since launching her production company, Cortés Films she has collaborated with directors including Ernest Dickerson and Gabourey Sidibe, producing innovative features, documentaries and short films that assert the centrality of diverse and untold stories while delighting audiences. She is currently working with Academy Award Award®-winning director, Roger Ross Williams, on a feature-length documentary about the legendary Apollo Theater and producing and co-directing the documentary, THE REMIX: HIP X FASHION. Frida Torresblanco is an award-winning producer based in New York. She is a member of the Academy of Motion Picture Arts and Science, the European Film Academy and the Producers Guild of America. After studying Film and Literature in Madrid, she produced many prestigious projects, including THE DANCER UPSTAIRS (directed by John Malkovich), THE ASSASSINATION OF RICHARD NIXON (starring Sean Penn) and PAN’S LABYRINTH (directed by Guillermo del Toro and winner of three Oscars). She was partnered with Alfonso Cuaron for 8 years. In 2007, The Hollywood Reporter named her one of the 50 most powerful Latinos in Hollywood. Her production company, Braven Films, recently produced DISOBEDIENCE, starring Rachel Weisz (THE LOBSTER), Rachel McAdams (SPOTLIGHT) and Alessandro Nivola (AMERICAN HUSTLE) and produced in conjunction with Film4, Film Nation and Ed Guiney (ROOM). It premiered at TIFF in 2017 to excellent reviews and was distributed by Bleecker Street. Lauren Ludwig is an award-winning director and writer working in film, television, and theater. An AFI Directing Workshop for Women alumna, Lauren has developed multiple television projects with various partners including Universal, Participant Media, truTV, and FX. She co-created and directed the sketch comedy series Passive Aggressive History for truTV. An experienced stage director, Lauren is a founding member of the immersive theater company Capital W. Her adaptation of Shakespeare's Hamlet staged in a cargo van, Hamlet-Mobile, was included in the anthology Best Plays from American Theater Festivals 2015. Her work with Capital W has received rave reviews and won Best Overall Immersive Work at Hollywood Fringe 2017 and Best Game Design at IndieCade 2016. 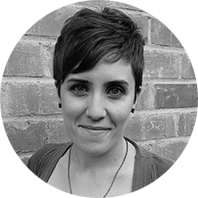 Lauren is the Executive Director of AFI’s Directing Workshop for Women and has taught writing and performance classes across the country. Monique Nash is currently the Head of Creative Affairs for Kronicle Media, which she co-founded with Korin D. Williams to create content for and about women from diverse perspectives. She previously served as Director of Current Programming & Development at Will Packer Productions, working on the BET drama, BEING MARY JANE, starring Gabrielle Union, the ABC comedy, UNCLE BUCK, starring Mike Epps and Nia Long, as well as the Emmy-nominated remake of the ROOTS miniseries for History Channel, Lifetime and A+E Networks. She has also served as Manager, Current Programming at Fox Broadcast Company and consulted for NATPE’s Navigator Program and for the Walter Kaitz Foundation. Monique received a Bachelor of Science in Consumer Studies from the University of Massachusetts at Amherst. Quincy Newell’s career in the entertainment and media business spans over 30 years. Newell has held senior-level posts at a variety of independent and mainstream film and music companies and has been involved in the production and marketing of some of urban entertainment’s most notable properties. Newell currently serves as business advisor to Significant Productions, Forest Whitaker and Nina Yang Bongiovi’s prolific multi-cultural production company, and holds the post of Chief Content Officer for the on-demand streaming service REIGN. REIGN (www.reign.com), is an African-American & urban culture themed streaming video on-demand service launching this October. Prior, Newell was tapped by Lionsgate to oversee operations for its new venture (through its acquisition of the company) Codeblack Films as its EVP & General Manager, where he worked on films including Kevin Hart’s “LET ME EXPLAIN,” Shola Lynch’s 2013 NAACP Image Award winner “FREE ANGELA and ALL POLITICAL PRISONERS,” George Tillman Jr. and Alicia Keyes’ critically acclaimed and NAACP Image Award nominated “THE INEVITABLE DEFEAT OF MISTER & PETE,” and the Golden Globe nominated film “FRANKIE & ALICE” starring Academy Award winner Halle Berry. 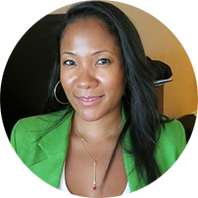 Korin Williams (formerly Huggins) is the Chief Executive Officer and co- founder of Kronicle Media. She previously served as Head of Television for Will Packer Productions (Packer), where she successfully led the shingle’s foray into television, garnering three series orders in the first year. While at Packer, Williams was a Co-Executive Producer for A+E Studios’ Emmy®-nominated remake of ROOTS, ABC’s UNCLE BUCK, starring Mike Epps and Nia Long, and NBC’s TRUTH BE TOLD, starring Mark- Paul Gosselaar and Tone Bell. She also oversaw the final season of BET’s hit drama series, BEING MARY JANE, starring Gabrielle Union. Williams’ past positions include serving as Director of Drama Development at Warner Bros. Television Studios and Manager at Universal Cable Productions, where she oversaw the development of scripted series for the USA and Syfy networks, including FAIRLY LEGAL, as well as production on the hit series MONK, LAW & ORDER: CRIMINAL INTENT and EUREKA. Maria Zuckerman is senior vice president, HBO Films, for Home Box Office, where she is responsible for overseeing the development and production of original movies for the network. She was named to this position in March 2016, and is a longstanding member of the New York creative community, having been associated with HBO Films since 1999. Zuckerman has overseen thirty award-winning films for the network, and is currently supervising My Dinner With Hervé, starring Peter Dinklage and Jamie Dornan, to air Oct. 20, 2018 on HBO, as well as the highly-anticipated Deadwood movie. Past acclaimed film credits include, HBO Films’ Emmy® winning Bessie, about legendary Blues singer Bessie Smith, starring Queen Latifah; Emmy® nominated film Muhammad Ali’s Greatest Fight; the one man-show Mike Tyson: Undisputed Truth directed by Spike Lee; Mary and Martha, written by Richard Curtis and starring two-time Oscar winner Hilary Swank; and Emmy® and Golden Globe® winner Grey Gardens. In 2015, Zuckerman was named one of Hollywood’s New Leaders in Television by Variety. She is also a board member of BAFTA New York where she also co-chairs the Film Committee, and a voting member of the Academy of Television Arts and Sciences and Film Independent. Jason Delane Lee is co-founder of Lagralane Group, a finance and project development company supporting projects including UNREST, ICARUS, STEP, NIGHT COMES ON, WON’T YOU BE MY NEIGHBOR, and the forthcoming documentary on Harlem’s beloved Apollo Theater, directed by Oscar winner Roger Ross Williams. Jason is an actor, philanthropist and father to three with his wife and co-founder, Yvonne Huff Lee. He is a founding member of the Los Angeles-based Lower Depth Theatre Ensemble and has appeared on stage across the country. His film and television credits include Criminal Minds, Secret Lives of American Teenagers and Make it or Break it. Jason is a life member of the Actor’s Studio, AEA and SAG/AFTRA. An advocate of the arts and the environment, he is also passionate about the well-being of children and foster care system reform. He loves a good movie of any genre and believes deeply that storytelling can save lives. 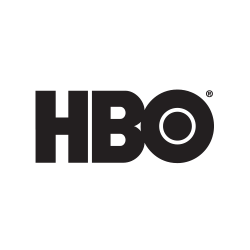 Jacqueline Glover is SVP, HBO Documentary Films, for Home Box Office, responsible for overseeing the development and production of documentary films. Most recently, Glover served as executive producer on John McCain: For Whom the Bell Tolls, an illuminating profile of Senator John McCain, and on King in the Wilderness, the documentary portrait of Dr. Martin Luther King, Jr. She served as senior producer for Becoming Warren Buffet and The Newspaperman: The Life and Times of Ben Bradlee. Glover also served as executive producer for the Emmy Award® winner Jim: The James Foley Story. Other recent projects include the Oscar®-winning documentary short Crisis Hotline: Veterans Press 1; the Academy Award®-nominated short Redemption; the Emmy Award®-nominated Gloria: In Her Own Words; the Peabody Award-winning If God Is Willing and Da Creek Don’t Rise from Spike Lee; the Academy Award®-nominated films China’s Unnatural Disaster: The Tears of Sichuan Province and The Witness: From the Balcony of Room 306; and the Emmy Award®-winning Teddy: In His Own Words; as well as the high-profile documentary A Family Is A Family Is A Family: A Rosie O’Donnell Celebration. 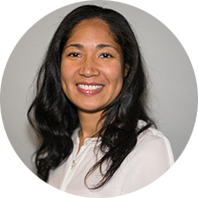 Rachel Watanabe–Batton is executive producer and founder of Contradiction and Struggle, a NY-based production and consulting company dedicated to telling authentic stories that reframe historical and cultural narratives. 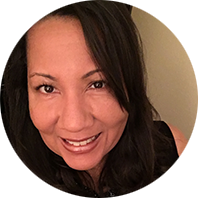 Her projects include the documentary Travel Notes of a Geechee Girl and limited series At The Dark End of the Street with director Julie Dash; and the series 1850, with co-creator Lara Stapleton, set in antebellum New Orleans during the era of quadroon balls. She has produced films for directors Tanya Hamilton (The Killers), Mo Ogrodnik (Ripe) and Jeff Byrd (Book of Love), and led Magnolia Pictures’ outreach campaign for Hamilton’s film Night Catches Us; created original non-fiction content for Martha Stewart; line produced series for Discovery and Lionsgate, and the documentary (Cutting Edge) for HBO. She co-founded production company Department of Film at Goldcrest in 1998, producing iconic videos for artists like Nasir Jones and Sean Combs. She was honored in 2014 with the MADE IN NY award by Mayor Bill de Blasio and NYC Mayor’s Office of Media and Entertainment for her contributions as PGA East Diversity Chair (2008-2018), PGA Women’s Impact Network founding Co-Chair (2014-2018) and PGA East Vice Chair (2010-2014). From best selling author to film and TV executive to reality show producer, Tamara Gregory has thrived in just about every facet of the entertainment industry. She is a rare executive who has corporate, indie, film, television, scripted, unscripted, on-air, and digital media experience. For the last six years, Gregory has played an instrumental role in BET’s successful launch into the original scripted arena, including oversight of the development and production of the critically acclaimed drama series, BEING MARY JANE; REBEL, a crime drama, executive produced by John Singleton; and recent series IN CONTEMPT. Jennifer Mayer is a screenwriter, a playwright and a native New Yorker. She has written several screenplays, including screenplays for Kopelson Entertainment and Summit Entertainment, and she has worked with director Moisés Kaufman and the Tectonic Theater Project. Jennifer is Black and Jewish, and her writing often explores race, gender and social justice. She is the cofounder of Creatives In Action, a collective of artists and creative professionals which works to promote activism in the creative community. She received her BA from Yale University. Jeremy is the co-writer of the film Bulworth, for which he won the L.A. Critics Award, as well as Oscar, Golden Globe, and Writers Guild nominations for best screenplay. His War Inc. premiered at the Tribeca Film Festival in 2008 and he also wrote The Lemon Sisters and worked on the script and production of Reds (1981). He has recently completed a screenplay co-written with Walter Bernstein about the collaboration of US Intelligence and Communist partisans in 1943 Italy and is about to begin a project with director Sebastian Cordero set in the Galapagos Islands. He also works as a script consultant for numerous film projects around the world. He has been Vice-President of the Writers Guild of America East for 8 years and teaches a screenwriting workshop at Johns Hopkins University where he is also Artistic Director of the Saul Zaentz Fund Baltimore Screenplay Lab. Lisa Holly has spent her media career on the cutting edge of entertainment, technology and digital media. 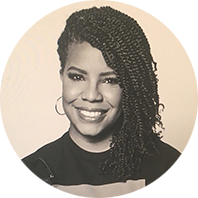 As the Vice President of Strategy and Business Development for REIGN, she oversees content strategy, programming, acquisitions and growth planning and works closely with young black creators to provide an avenue to develop their product. Prior to Reign, Lisa held a series of leadership and strategic roles in digital media including most recently at Fox Digital Consumer Group managing the execution of marketing and business capabilities of the direct-to-consumer and TV everywhere products for FOX Networks brands, at Vubiquity as Vice President Content Services negotiating VOD television distribution deals to cable operators and OTT services and at Fox Interactive Media establishing strategic partnerships supporting digital advertising and monetization initiatives. Lisa started her career at Intermix Media, parent of MySpace, as the Head of Marketing managing all aspects of marketing, production and content licensing for 45+ pop culture, gaming and lifestyle web properties then segueing to the role of Vice President of Operations to facilitate launching MySpace. 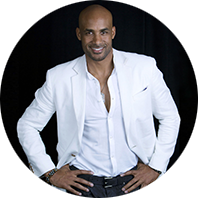 Actor / Producer, Bluvoma, Inc.
Boris Kodjoe grew up in Germany with his mother, became one of the best Tennis players in his country, and was signed by the Ford Modeling Agency in New York, where he became one of the most recognizable faces amongst male Supermodels. While traveling the world on modeling assignments he took acting classes and worked diligently at getting rid of his German accent. Hollywood took notice and soon Boris was featured in ‘Love and Basketball’ as well as the award-winning hit TV series ‘Soul Food’. His career has spanned film including ‘Brown Sugar,’ ‘The Gospel,’ ‘Surrogates,’ ‘Resident Evil: Afterlife,’ ‘Resident Evil: Retribution,’ ‘Baggage Claim,’ and ‘Addicted’. Boris realized one of his dreams when he made his Broadway debut as ‘Brick’ in the Tennessee Williams Classic ‘Cat on a hot tin roof’ in April of 2008 alongside the legendary James Earl Jones and Phylicia Rashad. On TV Boris played the lead character Steven Bloom in JJ Abrams’ one hour NBC spy drama series ‘Undercovers’. He also starred in BET’s new hit mock- reality show ‘Real Husbands Of Hollywood’ as well as in FOX’ hit comedy Last Man On Earth. Currently he can be seen playing the opinionated chief of surgery Dr William Campbell in Season 3 of ‘Code Black’ on CBS. In October he’ll be starring on the Shonda Rhimes produced ‘Station 19’ on ABC. As the Creator of the viral hashtag #OscarsSoWhite, April Reign challenges the lack of representation of marginalized communities in Hollywood and beyond. Reign sustains a movement that has resulted in the most systemic change ever seen in the over 80-year history of the Academy of Motion Picture Arts and Sciences. April Reign owned her opportunity, the results of which are reverberating throughout the entertainment industry. April Reign practiced law for nearly twenty years, honing her talent for public speaking and persuasive writing, but it wasn’t until she walked away from her legal practice that she found her true passion. April is now the Senior Director of Marketing for Fractured Atlas, a nonprofit arts service organization that leverages technology to make the business of art easier for artists and small arts organizations. Reign leads the marketing and branding of Fractured Atlas’ products and services while partnering with the engineering team on product development. Zennen Clifton is Vice President of Digital Strategy & Distribution for MACROwhere he leads the digital planning and distribution strategy for MACRO Digital Studio’s premium content slate and all of its external partnerships. Prior to joining MACRO, Clifton co-founded the multicultural content studio No Label with two-time NBA All- Star Baron Davis to develop and finance long and short form content specifically for multicultural audiences. While there, he developed and produced the scripted series WTFBD for Fullscreen; digital content for Kevin Hart’s LOL Network and was instrumental in the development of projects with Pascal Pictures, Amazon and Warner Horizon. Clifton began his career at William Morris Endeavor (WME) before heading to Yahoo where he developed and produced serialized projects ranging from unscripted short form to scripted half hour television and was intimately involved in every aspect of his projects, providing a complete 360 understanding of the digital content landscape at scale. Tamir Muhammad is a Producer for both TV & Film. Current credits include the series Random Acts of Flyness on HBO. Soon to be announced in Fall 2018, Tamir has launched a company with a first look deal with a major Hollywood Studio. The company creates content that focuses on the creative supply and demand of audience interest. Previously, Tamir served as Executive Director, Content & Artist Development for Warner Media (formerly Time Warner Inc.) where he oversaw OneFifty - which gives Warner Media’s divisions (Warner Bros., HBO, and Turner Broadcasting) the opportunity to further develop proof of concepts from some of today’s most innovative content creators. Prior to joining Time Warner Inc., Tamir was the VP, Content Development for Tribeca Enterprise's Digital Studios overseeing the development of content ideas for production and distribution. Tamir also served as the VP, Film, TV, and Online Programming for several years at the Tribeca Film Institute, where he oversaw funding and development of supported projects. An industry veteran in content strategy, acquisitions and programming, Angela most recently served as Senior Vice President, Content Acquisitions & Programming for UMC – Urban Movie Channel, a division of RLJ Entertainment, overseeing the company’s acquisitions, programming and scheduling for the proprietary subscription VOD platform UMC (www.UMC.tv), launched by RLJE Chairman and BET founder Robert L. Johnson. While there, Angela also served as General Manager, where she oversaw business operations for the OTT platform. 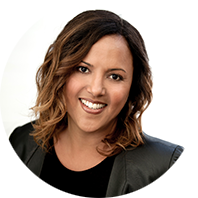 Angela joined UMC from REVOLT TV, where she served as VP, Content Licensing & Acquisitions during the network's startup phase. And previously held positions at Codeblack Entertainment, Simmons-Lathan Media Group (venture between Russell Simmons & Stan Lathan), and Urban Entertainment (a Time Warner company). Angela is a graduate of the University of Southern California’s School of Cinematic Arts. With one half hailing from Chicago and the other New Orleans, the award-winning duo’s first collaboration in 2004 resulted in a chart topping video, Kanye West’s ‘Through The Wire,’ that instantly catapulted the career of one of the world’s largest entertainers, Kanye West. The duo solidified their working relationship from this point on and continue to collaborate with high profile artists such as Pitbull, Mos Def, The Black Keys, Christina Aguilera, Erykah Badu, Ed Sheeran, Gil Scott-Heron, Wale and Joey Badass, to name a few. They set their sights on transitioning their talents beyond music videos and on their abilities to tell stories across multiple verticals. Coodie & Chike formed their own production company, Creative Control and in 2009 they launched their own digital network, CreativeControl.TV that showcases the versatility of their storytelling. This allowed them to produce and direct several award winning documentaries include the highly acclaimed ESPN 30 for 30 documentary “Benji” which premiered in 2012 as the gala film at the Tribeca Film Festival and the BET Networks documentary “Muhammad Ali: The People’s Champ” which won a 2016 NAACP IMAGE AWARD for best television documentary. With a career spanning two decades, Wendy Washington has served as the Senior Vice President of public relations for Universal and Motown, and was the Executive Vice President at Jive Records publicity departments. She also oversaw marketing and operations for Sony Music’s RED Associated labels. The publicity veteran has launched, overseen and executed media strategies for such artists as Lil Wayne, Britney Spears P!nk, Chris Brown, Stevie Wonder, Erykah Badu, Nelly, Heavy D, OutKast, The Notorious B.I.G and Rakim, alongside managing corporate media initiatives. In addition to her public relations expertise, the Colorado Springs native evolved into a cross-functional entertainment executive involved in business development, signing and managing global distribution deals and overseeing marketing, social media strategy, sales, and digital marketing departments. In 2016, Washington transitioned from a seasoned music industry veteran into a successful entrepreneur -- launching her own marketing/media relations firm, The TID Agency (This is Dope, LLC). The agency executed successful campaigns that have delivered results for clients including Maxwell, 2 Chainz, Hana Road Music Group, BET, Hezekiah Walker, Thread Shop and Urban One (Interactive One, Radio One and TV One) among others.